With the cold weather marching in, you should really take steps to caulk those cracks on the outside of your home. 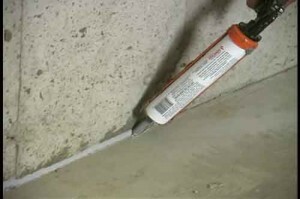 Caulking is the easiest and most efficient way to seal the openings on your house and make it weather sealed. Not only will a good caulk job on the exterior of your home seal in the heat, it will also prevent damage to wood and stone outdoors. If you check and caulk every single year, you will protect your home and at the same time, save lots of money on those heating bills! When you go to purchase your caulk, make sure you choose the correct one for the job you are completing. If you use caulk that is meant for indoors, it will not hold up to the weather and you will have to redo it pretty quickly. If you haven’t used caulk before, make sure to practice a bit before you start. Try to keep your hands steady while running the bead of caulk. Hold the caulk gun at about a 45 degree angle while applying the caulk. Its pretty easy once you get the hang of it. Caulk around your windows and doors. This is where the majority of air seeps out of your home and where insects can come into your home. Run a bead of caulk around the entire area where the siding meets the door or window. Smooth with a specially made smoothing tool, or you can use your finger. Caulk around faucets, pipes and dryer vents. Cracks larger than 1/4 inch or deeper than 1/2 inch should be filled first with some other material such as wood, fabric, insulation, paper or you can even use a piece of rope. The key is to use filler material to help hold the caulk in place. After you fill the gap, caulk over the filler material. As you can see, its fairly simple to seal up those cracks and help save you money and energy. 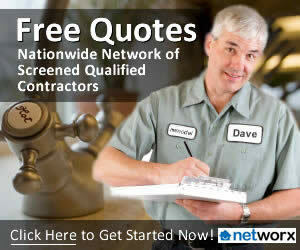 It is something inexpensive that every homeowner should do yearly. Do you have any caulking tips?